Home - News & Events Overview - Preliminary Programme for Global Biobank Week Now Online! 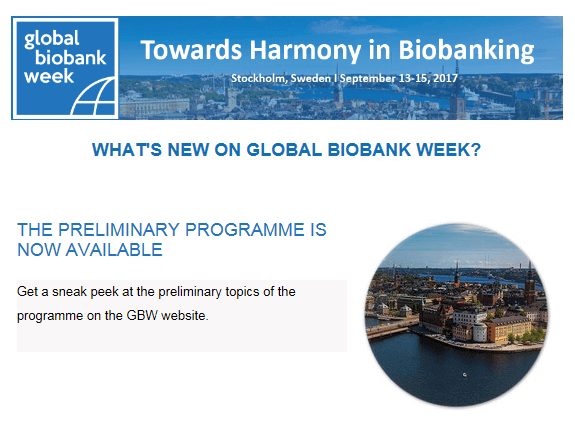 Preliminary Programme for Global Biobank Week Now Online! Do you want to have a sneak peek at the GBW preliminary programme? Are you interested in submitting an abstract for GBW? Do you want to register for GBW and get an early bird discount? Are you looking to book accommodation with GBW’s official housing agency?